In the end the vintage was a precocious one with the Merlots harvested from September 13 and the Cabernet Sauvignon between 25-29 September. 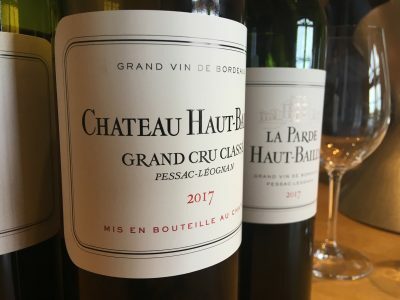 The following wines were tasted at the property during primeurs 2018. These 2017s are a tribute to the late Bob Wilmers who sadly passed in December of that year. Wilmers was a wine lover, financier and philanthropist, who as owner, presided over the revitalisation of Château Haut-Bailly over a twenty year period. 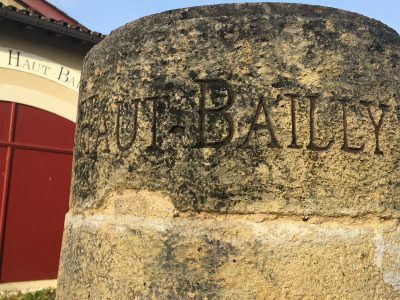 His son Chris Wilmers now takes the lead and manages Haut-Bailly and Le Pape alongside Véronique Sanders.